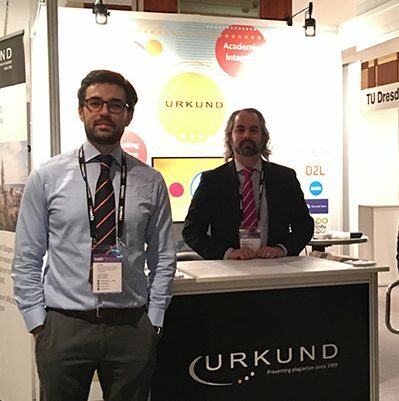 URKUND attended Online Educa in Berlin on 6th-8th December. The stand was kept busy; lots of users from Denmark and Norway came by and, as many of them are in the process of changing LMS/VLEs, they were interested to see how URKUND works when integrated into another system. URKUND had visitors from all over the world during the conference. OEB was also a great opportunity to say hello to representatives from other systems to discuss existing or proposed integrations.